Russian maestro Valery Gergiev conducts Prokofiev’s rarely performed 1916 opera, based on the short novel by Dostoevsky. Vladimir Galouzine heads the all-Russian cast as Alexei, tutor to the family of the General (Sergei Alexashkin) and in love with the General’s ward, Polina (Olga Guryakova). 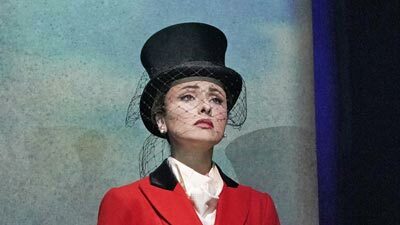 Larissa Diadkova sings Grammy, Polina’s rich grandmother, Nikolai Gassiev is the manipulative Marquis, and Olga Savova is Blanche.